For today’s post, I wanted to write a little bit about my favorite websites for free sheet music. I only have a few sites that I like, but they are all pretty comprehensive in the materials that they cover. The first site I like is called 8notes (www.8notes.com). I like this site for easy pieces that I just want to learn for pleasure and not necessarily for performance. I wouldn’t use pieces from this site in performance because a lot of them are transcriptions of pieces written for other instruments. This website is a good place to go if you are looking for inspiration as well. The next site is the Petrucci Music Library (www.imslp.org). This site definitely has a more comprehensive list of sheet music, some arrangements, some originals. You can search by more than just instrument and difficulty, and there are more instrumentations on here than on 8notes. The last site I want to tell you guys about is mainly for flutists, flute teachers, and pianists who accompany flutists. It is called Free Flute Sheet Music (www.flutetunes.com). This has a lot of flute solos, duets, trios, etc. 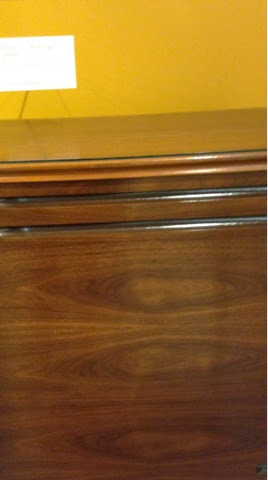 as well as pieces with flute and keyboard, flute and bass, etc. you can search by difficulty, instrumentation, time period, written for flute, and more. I use this site for about 95% of my flute sheet music at the moment. I hope this gave you a few resources to check out for your sheet music needs. I am sorry the list was so short, but honestly, those are the only sheet music sites I need. If you have any other sheet music websites you like-free or otherwise-comment down below and let me and other readers know. Every musician has a list of gear that they love more than anything. Today, I will be sharing with you my personal favorites when it comes to instruments and accessories. I do want to first make a disclaimer that I am not pressuring you to go buy any of these products. I am not in any way being paid to write about these products. This is just what I love to use for my playing.you are more than welcome to try these products, but there is no need if you choose not to. I decided to structure this post by gear for specific instruments and general gear. Music Stand. I have the cheapest music stand out there from Guitar Center. I do not need anything more than that. It works fine and I use the better stands when I am playing at school. Tuner, Metronome, & Audio Recorder. I grouped these into one group because I have them all on one app on my iPhone. The app is called Musicians Kit. It is a free app and I really like it. If you do not have a smartphone, or if you don’t want to download an app, there are physical tuners, metronomes, and recorders that you can buy. Crochet Hook. I got this idea from Bret Pimentel’s blog (www.bretpimentel.com). He said he uses a small crochet hook for when a spring on one of his woodwinds gets out of alignment. Case Cover. I have a case cover by Protec that I love. I really like the fact that it has one big pocket for your flute and a small pocket for your accessories and/or piccolo. Flute Stand. I recently purchased a flute stand by Hercules called the Travlite Flute Stand. If you can’t tell by the name, it is good for travel since it folds up and fits in the foot joint (even C-foots). Reeds. I use Vandoren strength 3 reeds for clarinet. Reeds are definitely a necessity, but not all reeds work for all players, so it is worth it to try out a few different reeds. Cork Grease. This is self-explanatory. You need cork grease to keep the corks on the clarinet from drying out. Neck Strap. I have two by Rico, one padded, one not. I like the one without the padding better because it doesn’t grab at my neck as bad. It is worth looking for a better neck strap than the one that comes with the saxophone because they are not the best quality. Dollar Bill. I like to keep a dollar bill in my saxophone case because it is good for cleaning sticky pads. I only use it for saxophone, because flute and clarinet pads are too sensitive. I hope you liked reading about my favorite gear! I hope you found it helpful and maybe got some ideas about what gear to purchase for yourself. Musical Instrument Mondays!-A Plastic Saxophone? Thanks for reading, I hope you are enjoying finding out about a few odd ball instruments. 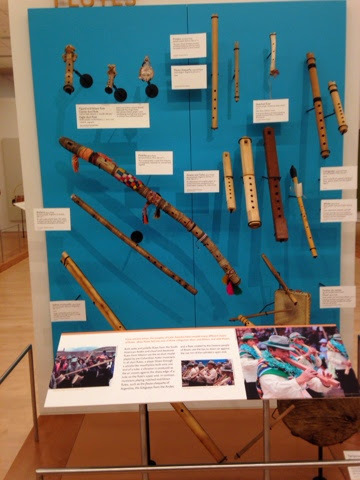 I will be writing two more posts about cute and interesting instruments, specifically those that I saw at the Musical Instrument Museum on a recent trip to Arizona. It’s always fun in the practice rooms! 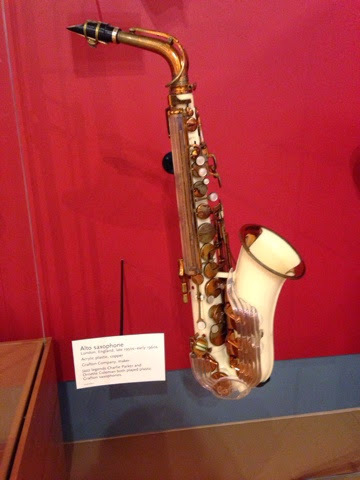 Author Hannah HaefelePosted on April 14, 2014 Categories CollegeLeave a comment on Musical Instrument Mondays!-A Plastic Saxophone?